If you are looking for a center that offers teaching in Meditation, Enlightenment, Qigong, Tai Chi and other Chinese internal kung fu systems, White Cloud Sanctuary is the best. 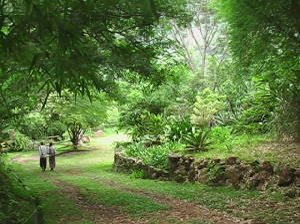 Established in Costa Rica since 1972, White Cloud Sanctuary is a small Daoist Temple and Metaphysical Study Center. White Cloud Sanctuary is a 12 acres well manicured and lanscaped mountain retreat and sustainable farm Nestled in the mountains of the Central Valley near the capitol San Jose’. 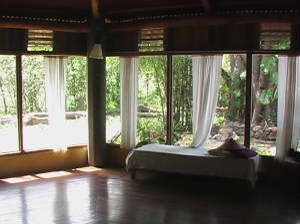 Their facilities include a fully furnished cabin, Temple area for meditation and large court area for movement practice. 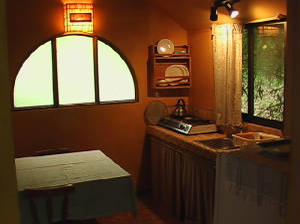 Connecting to Temple is the monks quarters with private bath & kitchen. 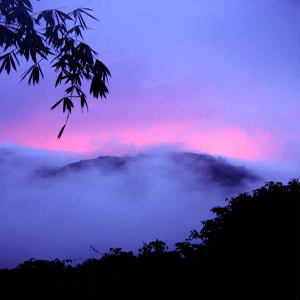 Bordered by mountains and river, and with gorgeous views of the vulcanoes Poas and Irazu, White Cloud is one of the best sanctuaries in Costa Rica. There are two types of accommodation facilities. One is the temple’s quarters and another one is casita. 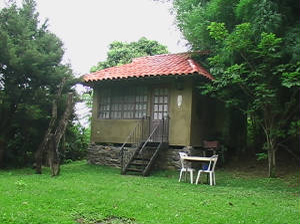 Casita is a one person cottage, located at the very top of our property. If you want a gorgeous views overlooking the mountain to the side and the valley below, you will definitely like Casita as from the casita’s front room and bed room windows you will have such a gorgeous views that will spellbound you. Martial Arts Tai Chi Intensives in Costa Rica – Two week intensives of your choice of the Kuang Ping Yang style Tai Chi, – 48 Posture Essence- Chen system including spiral basics, ChiKung, Hing-I ten animal form, Shaolin, double edge sword. Only one guest at a time is allowed to stay in this centre. Therefore it allows intense individual spiritual study. Reported benefits are improved strength, Reduced pain and stiffness, Enhanced sleep, Greater awareness, calmness, and overall sense of well being there is a daily schedule of guided sessions and quiet seated meditation.